I spent five days this week in Belize. (When I realize that I have vacation time, airline miles, and money saved, watch out!) 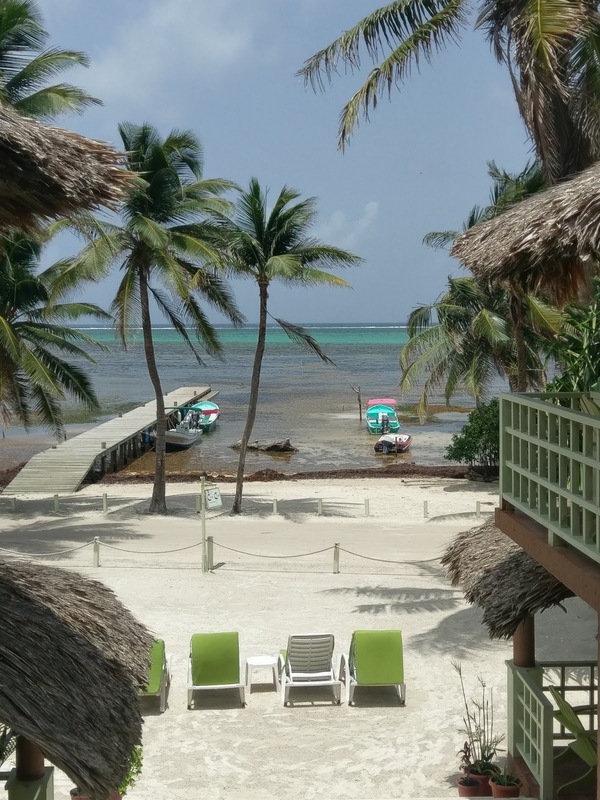 I stayed on Ambergris Caye (a quick 15-minute flight from Belize City on a tiny 10-seater airplane, yikes!) 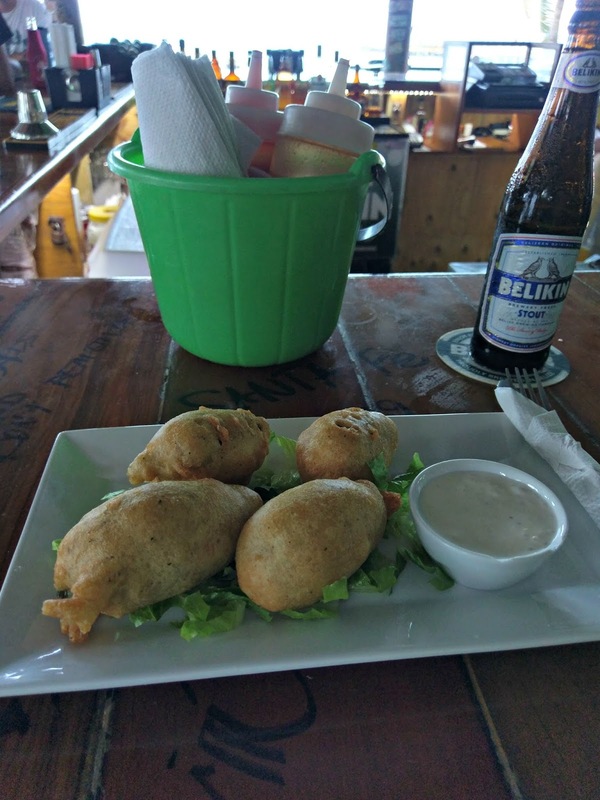 at Caye Casa. This was the view outside my door. The hotel was super cute, clean and the staff were very friendly and helpful. I got a tip from someone that Sandy Toes Beach Bar & Grill had the best ceviche in San Pedro, and they were not wrong! 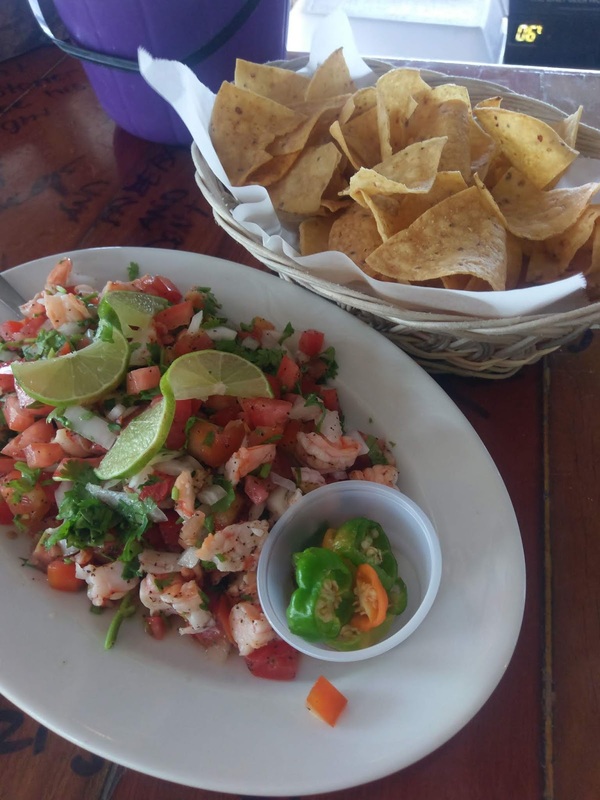 I had the shrimp ceviche and it was delicious and peppery. 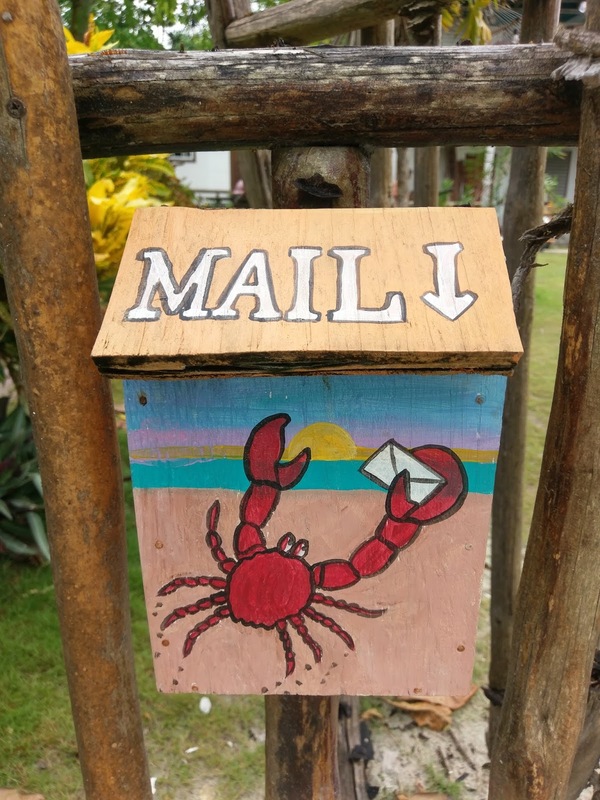 The next morning, I walked to find some coffee and boarded the YOLO for a snorkeling adventure to Hol Chan and Shark Ray Alley and a trip to Caye Caulker with Island Dream Tours. It was a bit stormy but we were in the water most of the day, so it didn't slow us down. Belize is home to part of the second largest coral reef system in the world, the Mesoamerican Barrier Reef System (560 miles long). The tour had GoPro cameras, so if the pictures turned out, I'll share some of those next week. 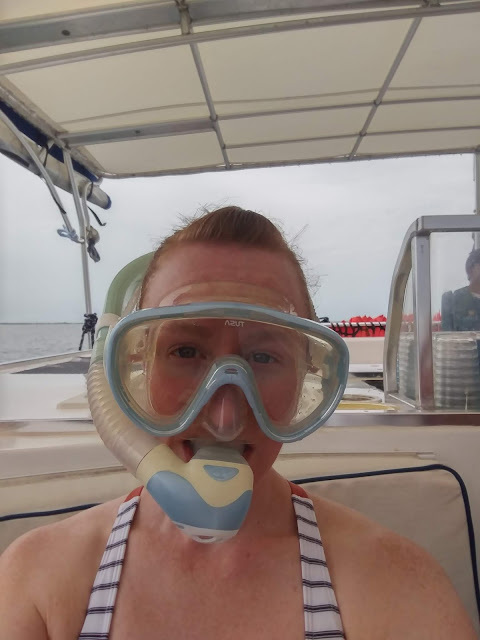 On our snorkel, we saw nurse sharks (some over 14 feet long), barracuda, loggerhead turtles, stingrays, lots of colorful fish, coral, and an eel. 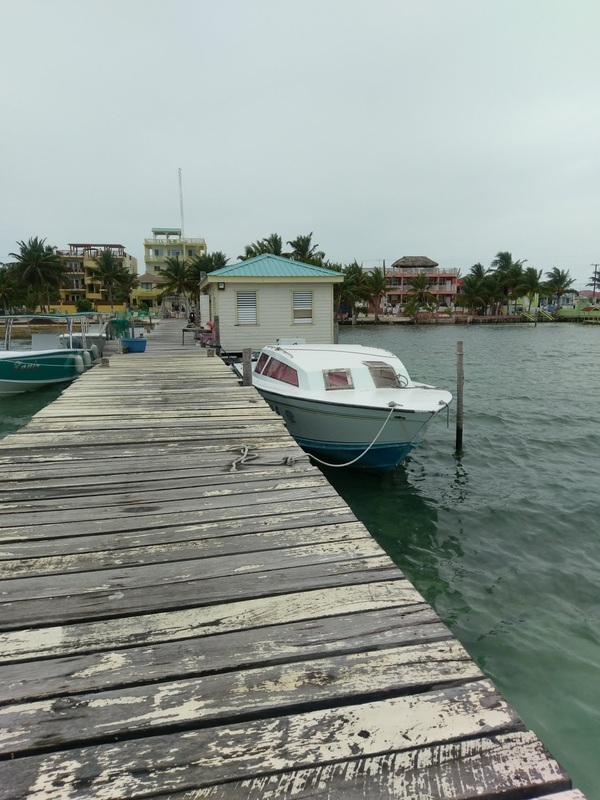 We docked at Caye Caulker (about two hours by boat away from Ambergris Caye) and explored the island for a couple of hours. I walked up and down the dirt roads and came across a hostel/hotel with this adorable mailbox. 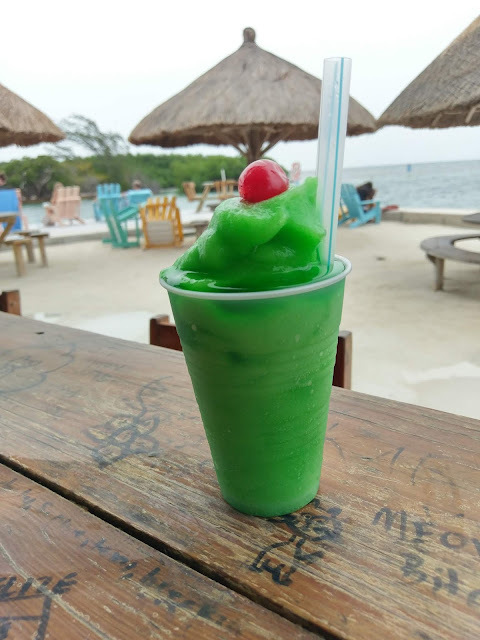 The Green Lizard Juice is famous and found only at The Lazy Lizard. I just tried a sip of this one, it wasn't too bad. The woman serving it at the bar said she didn't even know what was in it. A Google search only gave up that it's like a Long Island Iced Tea, and not to drink too many of them. After a fun cruise back to our island, complete with music, drinks, and dancing, I headed back to my room for a shower and then out for some dinner. I tried the lobster poppers, along with the local stout. They were good, although I will never get used to non-Maine lobsters (sorry rock lobsters!). Everyone I talked to sitting at the bar was very friendly. People liked to ask where I was from (I like to just say the middle of the U.S.), how I was liking Belize (good so far), how many times I'd been (first time), and seemed surprised that I was traveling alone (although it's not that uncommon, is it?). I told them that the best part is doing exactly what you want, whenever you want. That seems to clear up any confusion. The adventure continues tomorrow!